New Westminster, BC – The Arts Council of New Westminster will be hosting two All-Candidates meetings at the Centennial Lodge in September 2018. With a focus on the arts, candidates will have the opportunity to meet with local artists from the performing, visual, and literary arts community. Attendees will learn about the candidates’ ideas to develop and sustain the arts and the key role of the arts in our schools and our city. The meeting for Mayor and Council candidates will take place on September 18th and for School Trustee candidates on September 26th. Both events start at 7:00pm and run until 9:00pm. 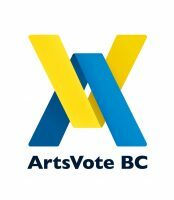 The upcoming All-Candidates meetings are a part of the ACNW’s Arts Vote New West campaign that began on August 12th, 2018. At the start of this campaign, artists and arts-engaged citizens shared an evening hearing from Brenda Leadlay of the BC Alliance for Arts and Culture on advocacy efforts across British Columbia in advance of the upcoming municipal elections. The evening also included a frank and informative discussion about the state of advocacy and of the Arts in New Westminster.